Alastair qualified in 2000 from the Manchester School of Physiotherapy and has enjoyed working in a variety of settings in both private and public sectors since. Shortly after qualifying, Alastair was fortunate to get the opportunity to work for Manchester United Football Club, gaining experience in treatment and rehabilitation of elite athletes. In Shanghai Alastair was employed as Clinical lead physiotherapist at a pain and rehabilitation clinic prior to enhancing his skills at the Manchester Royal Infirmary where he held the position of Senior Specialist in Orthopaedics. 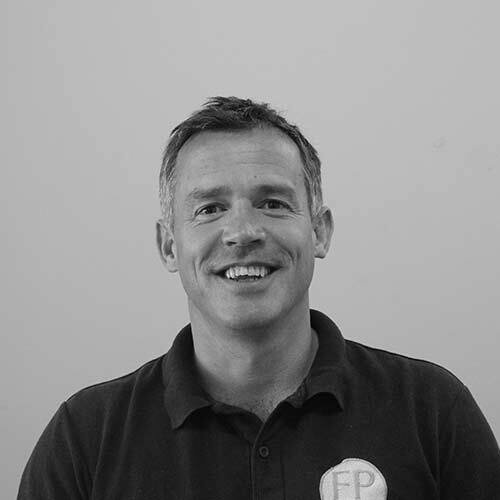 Alastair has a specialist interest in the management of pain and is an accredited member of the Acupuncture Association of Chartered Physiotherapists. He has spent years treating both orthopaedic and sporting injuries however maintains that helping people is what he enjoys most. In his spare time Alastair loves to be outdoors; he enjoys walking, watching wildlife, hedge laying and surfing.